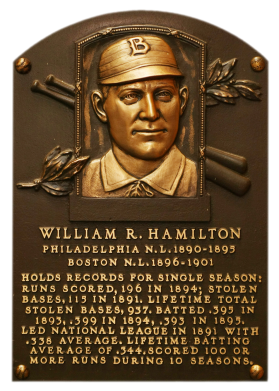 While playing with Philadelphia and Boston in the NL, "Sliding Billy" Hamilton ran into the records. He was credited with 915 stolen bases, although for most of his career a runner received credit for a base theft by advancing an extra base on a hit. In 1894, his ability on the bases netted a total of 196 runs. He ended his career with a a .344 batting average. Comments: In November, 2002 I picked up several 1976 Shakeys tribute cards including George Sisler, Kid Nichols, Joe Medwick, Billy Hamilton, Roger Connor, Charles Comiskey, and Sam Thompson. Some were submitted to and graded by PSA in January, 2003. The Hamilton came back a NM-MT 8. It was a placeholder until I acquired something issued during Sliding Billy's career. The only option was a N300 Mayo Cut plug since the other issues are all action shots. It was a profile shot, he wasn't facing the camera but it would have to do. 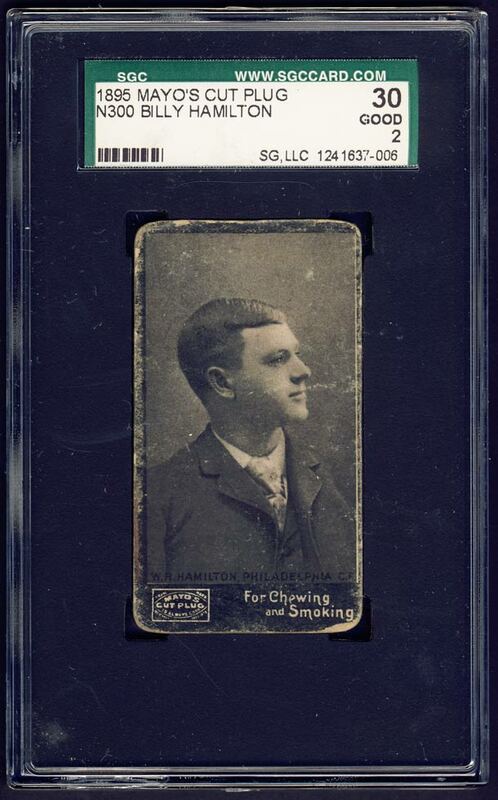 I purchased this SGC 30 example in an eBay auction from David Bryan / davidbvintage in March, 2008. Description: These 1-5/8" X 2-7/8" cards were issued by the Mayo Tobacco Works of Richmond, VA. There are 48 cards in the set, with 40 different players pictured. Twenty-eight of the players are pictured in uniform and 12 are shown in street clothes. Eight players appear both ways. Eight of the uniformed players appear in two variations, creating the 48-card total. 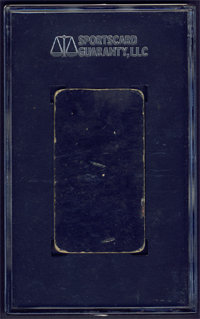 Card fronts are black-and-white or sepia portraits on black cardboard, with a Mayo's Cut Plug ad at the bottom of each card. 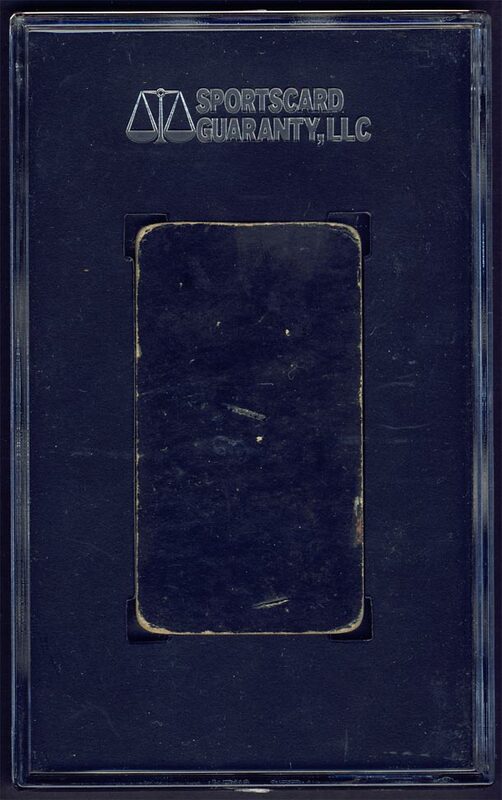 Cards are blank-backed and unnumbered.